Tamron SP 24-70mm f/2.8 Di VC USD G2 Lens Rumored to be Announced Next Week ! 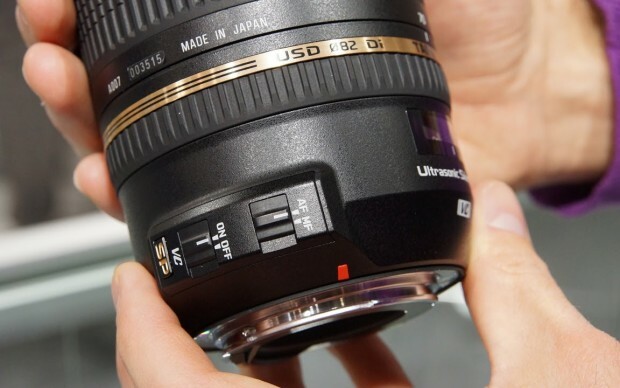 Next week, we may see two new 24-70mm f/2.8 lens. One is the Sigma 24-70mm f/2.8 DG OS HSM Art lens, price & pre-order option will be announced, the other is the Tamron SP 24-70mm f/2.8 Di VC USD G2 lens. This Tamron SP 24-70mm f/2.8 Di VC USD G2 lens will replace current Tamron SP 24-70mm f/2.8 Di VC USD lens. This is the third G2 lens from Tamron. It will be available for Canon EF mount and Nikon F mount. Tamron SP 24-70mm f/2.8 Di VC USD G2 Lens Announced ! Next Next post: Tamron 18-400mm f/3.5-6.3 Di II VC HLD APS-C Lens Coming Soon !